Currently Recruiting: We are looking for a Part II architectural assistant with a minimum of two years of experience or for a recently qualified architect. We will be delighted to hear from committed, skilled and experienced applicants. Hard copy applications, sent by post, are preferred. AY Architects is an equal opportunities employer. We are delighted to be participating in this year’s London Festival of Architecture through a group exhibition at the Clerkenwell Gallery. Out exhibit ‘Ministry of Transport’ displays a large personal photographic collection of burnt out vehicles found in the boroughs of Hackney and Tower Hamlets between 1999 and 2002. 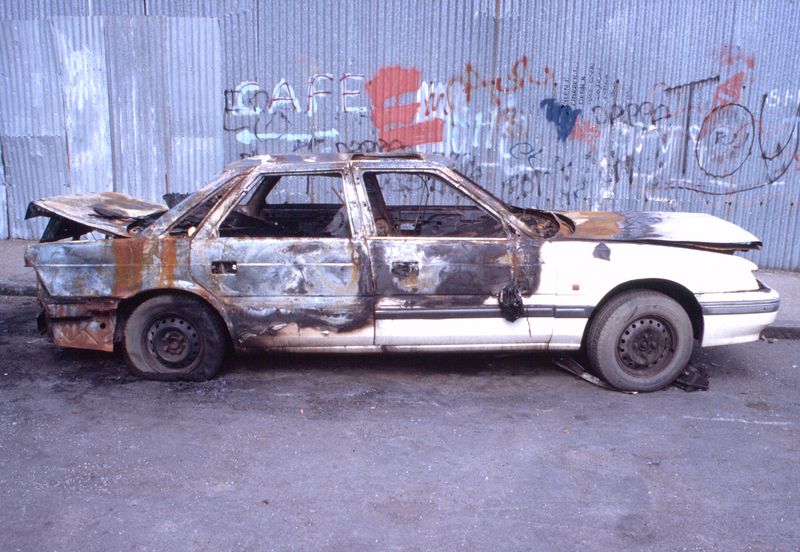 The setting within which the vehicles are photographed describes East London at a particular time, when it was in its early phases of gentrification, while the violent act of burning evokes associations with contested and tragic incidents in the capital and other parts of the world today. Opening Hours: 12.00 – 17.30, Tue 27 June – Sun 2 July.